There is an illusion that a thin body is a fit body, which helps give a sense of well-being. Fooling others is one thing, fooling oneself is risky. Mesotherapy may do both. Mesotherapy originated in France in 1952 and by 1986 it was recognized by the French National Academy of Medicine. It is considered lipodissolve and is a precursor to today’s more invasive lipo procedures. It is a series of tiny injections into “undesirable” areas of belly fat or fat or cellulite of the hips, inner or outer thighs, buttocks, arms, knees or ankles. It has also been used to remove bags under eyes and for double chins and even to stimulate hair growth. Depending on the area and the goal, six to 10 treatments are needed. These are spaced several weeks apart and consist of up to 100 microscopic injections of a fat lysis injection into the skin or mesoderm area. The success depends on the injector expertise and experience as well as the body site being treated. The ingredients vary depending whether the procedure is to dissolve fat or remove cellulite. A fat removal injection recipe may combine aminophylline, phosphate and yohimbe. Hyaluronic acid or hyaluronidase, phosphatidylcholine (PPC), and aminophyline (also found in cellulite cream) may be used in a cellulite removal injection. 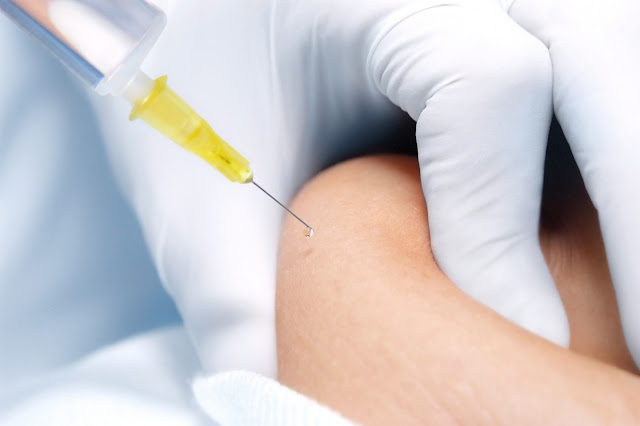 Allergy testing is needed prior to hyaluronidase injection. Vitamins and minerals, physiologic saline, or l-carnitine, are a few of the many alternate ingredients that can be injected. It is a non-surgical fat reducing procedure. No anesthesia is needed, topical or otherwise. It is much cheaper than liposuction or liposelect cosmetic procedures. It can smooth lumpy cellulite. It is an in-office 30 minute procedure. The patient can return to work or normal activity almost immediately but should avoid hot baths for a week. The success rate is very variable. Dr Bissoon, who is credited with bringing mesotherapy clinics to the US, claims over 90% success rates but the average practitioner sees a much lower rate. Results cannot be guaranteed. Some people see no change. (The cosmetic procedure was banned in Brazil in 2003 for this reason). There is a risk of bruising or bleeding. Some patients may have allergic reactions to ingredients. Without full patient disclosure in the UK and US, some physicians face discipline. The state of Kansas sought to ban the procedure in 2007. There is a risk of permanent or semi-permanent nodules or lumps forming, as reported in a recent study in the Journal of Clinical Infectious Diseases. A need for treatment may recur. Plan on repeating the procedure in a year or so. Good diet and exercise is still essential not to undo any positive effects. There are no standards of practice for the procedure in the US. It is contraindicated during pregnancy or lactation. Ask to see actual client photos of the person providing the cosmetic procedure; ask to speak to other clients if possible. Ask how long the practitioner has been doing the procedure and where was his/her mesotherapy training obtained. Ask who draws up the medication. Some offices have an unqualified assistant draw up fluids to speed the process for the practitioner. Be sure it is done in a sterile environment. This injection is going under the skin. The skin should be cleaned and the needles changed after a few injections or sometimes immediately after drawing up the suspension. Remember that certifications may be confusing to a patient since there are many “esthetic businesses” that certify doctors or nurses after an expensive four or eight hour course. Ask what the total cost is. The cosmetic procedure costs between $100 a session on the low side to $600 a session on the high side. Often it is sold in a package of six or 10 sessions. As with many cosmetic procedures, testimonies can be found in support of the procedure and also of those unhappy with results. This isn’t a weight loss procedure. A healthy diet and exercise are recommended post treatment to continue to keep the body fit and free of fat and cellulite control. This advice would be given regardless of procedure performed.